A highly optimized, targeted, conversion-centric landing page averages an 8-10% conversion rate. Remarketing can bring back those lost 92% - and result in more leads or sales. Want to beat out your competition by being the first to use them well? Read on. 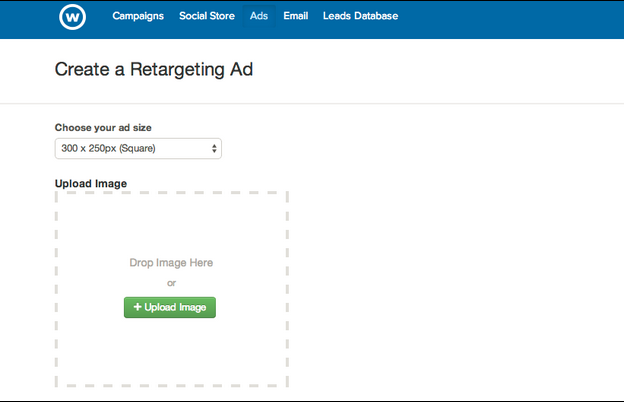 Note: Unfamiliar with the difference between retargeting and remarketing? They’re the same thing. Google uses the term “remarketing” while Facebook tends to use the term “retargeting”. Savvy online marketers have been using remarketing for years. It’s more than likely you’ve seen them in action - even if you didn’t know it. You visit a site, get interested in what a business has to offer, and then leave to go do something else. As you’re skimming and scanning through other sites, their branded image keeps following you around. You think about the business, feel familiar with who they are, and before you know it, you’re back on their site converting to download an ebook or buying that product you were contemplating. That’s remarketing. And it works. In a nutshell, remarketing works by keeping track of anyone who visits your particular landing pages or website pages (check out the difference between a landing page and website page). We can then display your remarketing ads to those lost leads, as they visit other sites online. For advertisers, remarketing is a dream come true. Imagine being able to follow customers around, increasing your touchpoints and gaining brand awareness with razor sharp precision targeting. You only pay for ads that reach people who are interested enough in your product or service to have actually visited your website and landing pages. How Does Ad Retargeting Benefit My Business? As you can see, remarketing gives your business the edge by keeping your business front and center in the minds of your consumer. If you have an online store or product pages, remarketing can bring back your online window shoppers. You can create product specific ads that will be seen again and again by those people who have in a sense, visited your store, maybe walked through door, browsed and then left. Your lovely ad can then chase after them to remind lost customers how great it would be to fully convert and buy that item. For B2B’s and other businesses with a longer sales funnel, retargeting is also successful in generating more leads. You can entice more people to download your ebook or participate in your webinar, by creating campaigns that are periodically shown to your site visitors. You already know they’re interested. Remarketing is an effective method to keep reaching and warming those genuine prospects. Remarketing ads get high click-through rates and have shown to increase conversions by 400% or more. So, yes, they do benefit your business. 1. It gets your brand seen by the right people. Only someone who’s made the effort to visit your site - or specific landing page - will see your ad. You don’t need to know the right keywords or the right Likes. 2. It shows them the right ad. Let’s say you have a retail store that sells men’s shoes and women’s shoes. If someone clicks on to your women’s shoes website section, you can show your ad for women’s shoes to them - not men’s shoes. The better your ad fits to your consumer needs and wants, the more likely they’ll click on it. 3. It shows you in the right place. Your paid message follows each of your visitors around the internet. Your ad is shown throughout the Google Ad Network and it is displayed based on the cookie in your bounced traffic’s browser. There’s no guess work in finding the sites that best reach your demographic. As we’ve seen, remarketing essentially allows your brand to walk beside your bounced traffic as they travel the internet. More than that, however, is that it gives you the opportunity to target them so specifically as individual consumers. Retargeted ads are not the same as your regular network ads. You’re making ad content toned, honed and designed exactly for your bounced traffic. And yes, with this highly personalized communication - your results are many times the click-through rate of even the more traditional (highly-targeted) online ads. There are tons of strategies you can use with remarketing. If you’ve got your marketer’s hat on, you’re probably like me and just chomping at the bit with creative and effective advertising campaigns. Here’s a few examples of actual ads that have retargeted me. I visit blogs a lot, so I’m often followed around by smart companies that use ad remarketing. This ad showed up while I was checking out the trends in Growth Hackers. Variations of the ‘A/B testing webinar’ ad keep following me around from one site to another. I’m sure if I visited other pages that weren’t content related, I’d be seeing different campaigns from these companies. If I visited a free trial page or product information page, they’d likely follow me around with incentives to bring me back and sign me up directly on those pages. I’ve never met a business who doesn’t want to bring back a lost shopping cart conversion. I’ve written about how to use email marketing automation to reconnect with these warm leads. 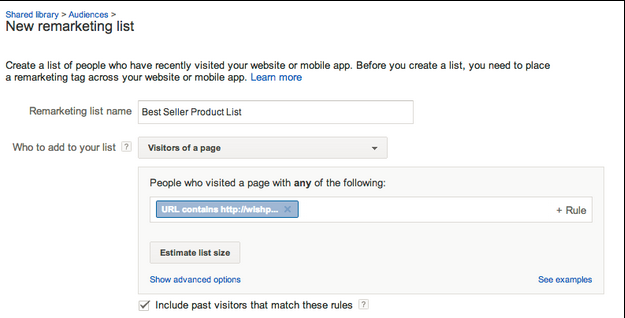 You can use remarketing too. It’s pretty cool. 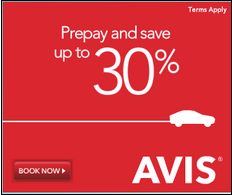 It’s a product I’m looking for and Avis clearly wants my business by giving a 30% discount. The ad links directly to their online booking landing page. Ad remarketing is a cost-effective method of achieving your online marketing goals. Try them out. 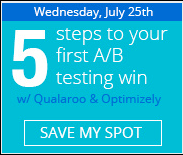 As always, A/B test your ads to optimize campaigns and get the best measured results.